Objective disease measures are helpful and needed in any condition, but there may be no condition where they matter more than in suicidal ideation: Studies show that up to 78 percent of patients dying from suicide denied having suicidal thoughts when they last spoke with a healthcare provider. Objective measures for suicide risk have been scarce, but a Cleveland Clinic-led research team hopes to change that with a study launched in fall 2016. The study, supported by a $400,000 grant from the National Institute of Mental Health, is investigating whether blood levels of the astrocytic protein S100B and other peripheral inflammatory markers can predict suicidality in adolescents following hospital discharge after a previous suicide attempt. She adds that a potential ultimate goal would be a blood test to help predict which patients are at greatest risk of relapse so that interventions can be targeted accordingly. The study builds on several lines of evidence — postmortem, genetic and biomarker studies — pointing to neuroinflammation as one of the potential neurobiological bases for suicidal behavior. Most notable is earlier clinical work by Dr. Falcone’s team showing that S100B, a marker of blood-brain barrier impairment, can help predict suicidality in adolescents with psychosis and mood disorders (PLoS One. 2010;5:e11089). That trial showed that the higher an adolescent’s serum level of S100B was, the higher his or her score was on suicide screening instruments. But this earlier study was limited by its cross-sectional design. “We measured S100B levels one time, when patients were in the hospital, but we didn’t follow up to see what happened to the biomarker levels over time, following improvement or relapse,” Dr. Falcone explains. The new study will enroll 120 patients and 40 controls over two years. 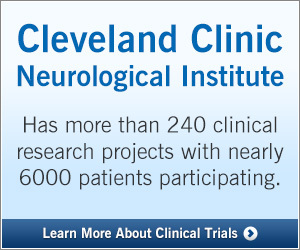 Patients will be adolescents aged 12 to 18 years admitted to Cleveland Clinic’s psychiatric unit after a suicide attempt. All will have blood samples taken at admission, at discharge and then at any time they may relapse (i.e., make another suicide attempt) to assess serum levels of S100B and the other five inflammatory biomarkers. At 1, 3, 6, 9 and 12 months after discharge, patients will be evaluated on the Columbia Suicide Severity Rating Scale and the Beck Scale for Suicide Ideation to assess for correlations with biomarker levels. Controls, healthy age-matched adolescents without mood disorders, will undergo baseline assessment of biomarkers and suicide screens and a follow-up evaluation at 12 months to assess for any changes. While the study is a single-center investigation at Cleveland Clinic, Dr. Falcone’s team is collaborating with the laboratory of Lena Brundin, PhD, at Van Randel Research Institute in Grand Rapids, Michigan, for biomarker analyses.